Each crime report contains latitude and longitude coordinates. 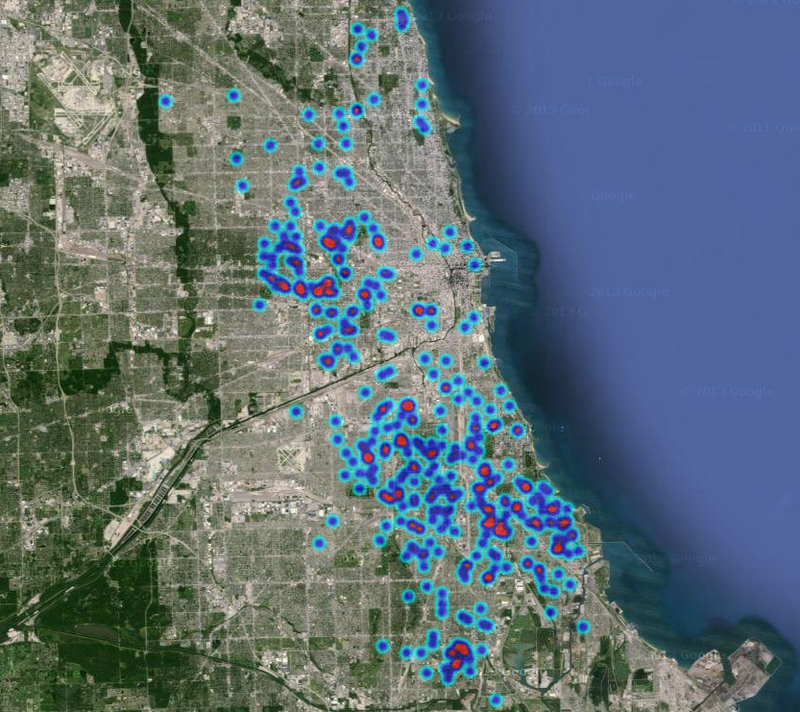 I used ruby to parse out each coordinate from this source : https://data.cityofchicago.org. Then I appended those points into a heat map. 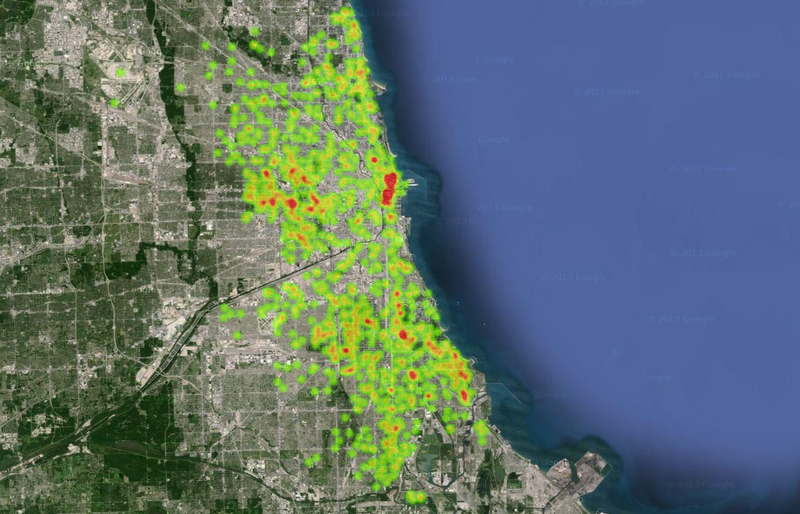 Update: This dataset has been expanded on, in this post DataViz: Visualizing Chicago Narcotics Crime Data. 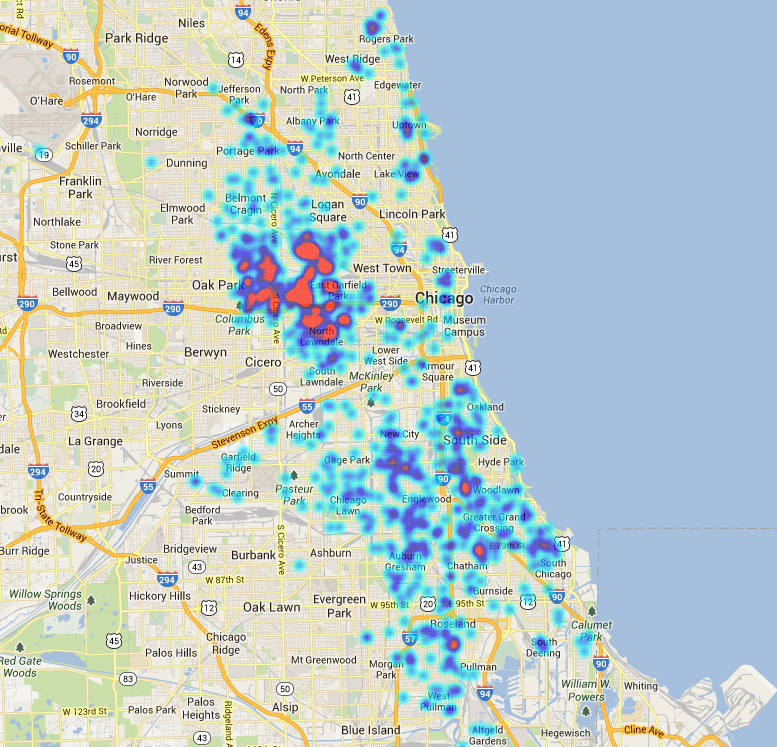 This entry was posted in Chicago Data, DataViz, Ruby on 08/15/2013 by MantasCode. I like these charts. As a chart man, I must say you’ve done your research and it shows. Nice. 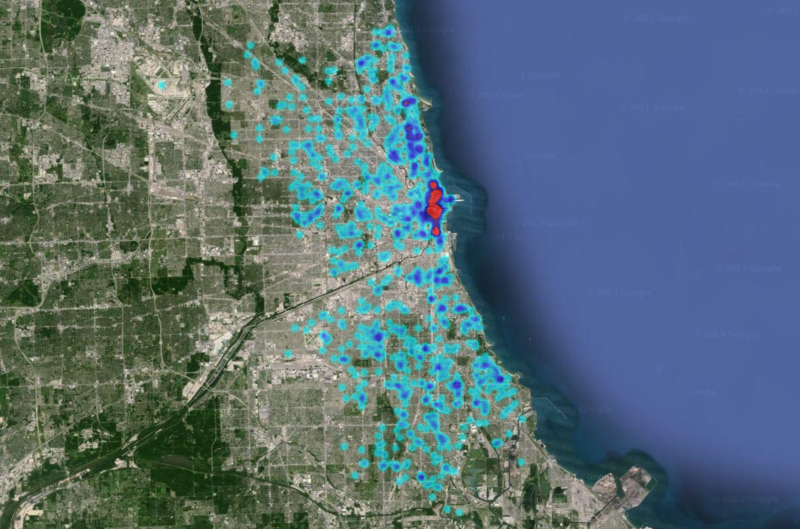 Finally a map that shows me where to get good narcotics in Chicago! Very curious you would conclude this identifies where one could purchase good narcotics. To me, that looks like a map of where drug dealers are stupid. Good, smart criminals don’t get caught–just look at Congress.